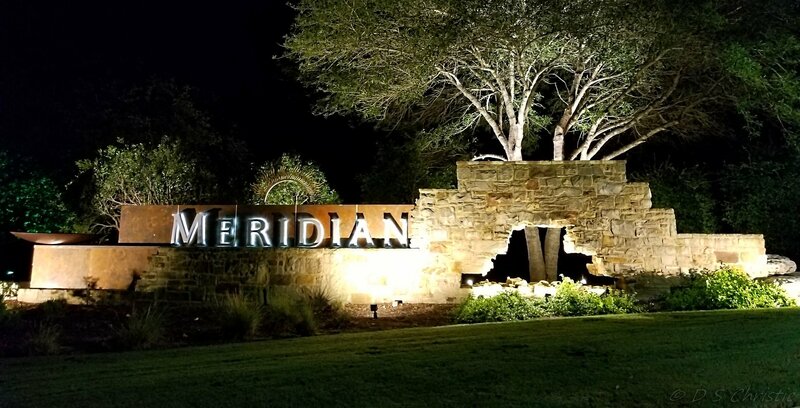 Meridian, a master-planned community in Southwest Austin established in 2007, offers the close-knit community feel of a small Austin suburb with easy access to downtown (15 minutes) and to the Austin-Bergstrom Airport (20 minutes). Located at the corner of Highway 45 and 1826, the Meridian neighborhood features a new elementary school, a spacious pool with community pavilion and children’s playscape, and a private lake covering over 10 acres of trails and natural landscapes. The neighborhood features beautiful homes built by a variety of builders including David Weekley, Nalle, Standard Pacific, and Meritage, on lots varying from 50 square yards to an acre. Many of the wooded home sites back to an extensive greenbelt, providing private backyards and access to nature. Several of the homes in Meridian are also adjacent to the Grey Rock Golf Course, providing picturesque views in a peaceful setting. 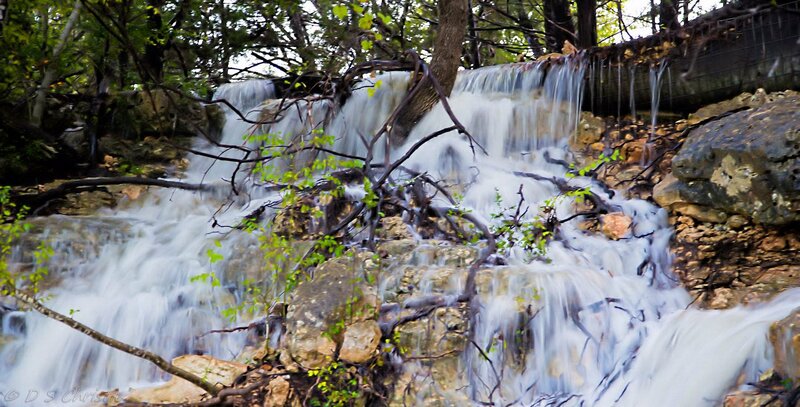 Shopping and restaurants are all within a 5-10 minute drive, as well as access to the Ladybird Johnson Wildflower Center and the Veloway Bike trail. The community lifestyle at Meridian is friendly, active, and fun for the entire family. Walk your children to school, relax in the family-friendly pool, fish or take a walk by the lake, or host a gathering at the community pavilion. Our active social committee plans a full calendar of events for all ages including food truck nights, a 4th of July parade, an easter egg hunt, a Labor Day BBQ fundraiser, and much more. When you move to Meridian, it doesn’t take long for your neighbors to become your friends. 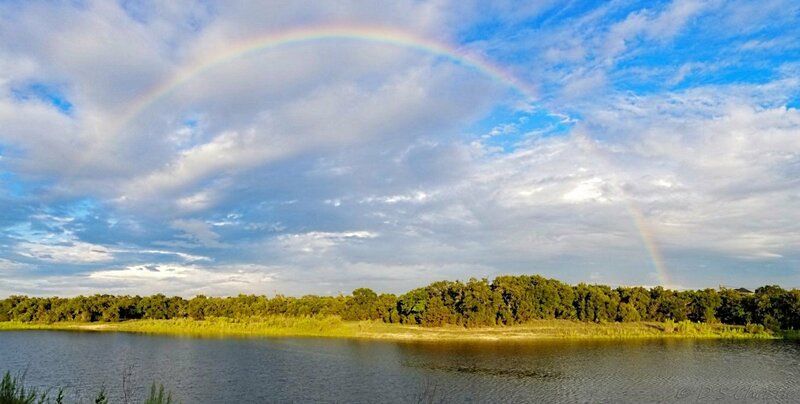 Fill your day with joy, peace and relaxation with a stroll around Bear Lake. 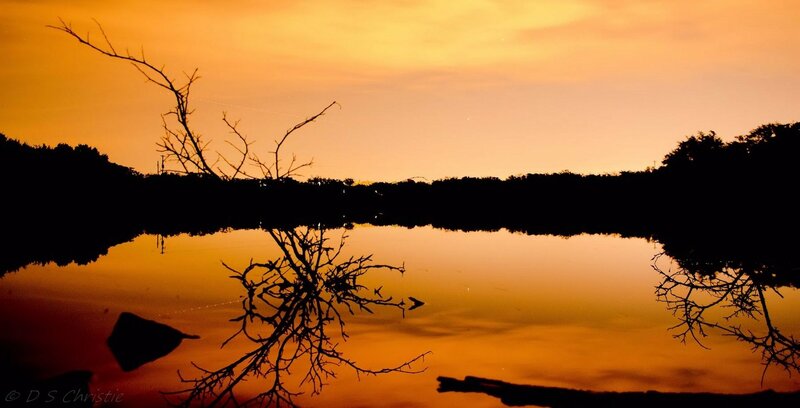 Enjoy a sunrise, a sunset, or a fishing expedition with the kids. Hang out with your family and friends over a picnic lunch to unwind. 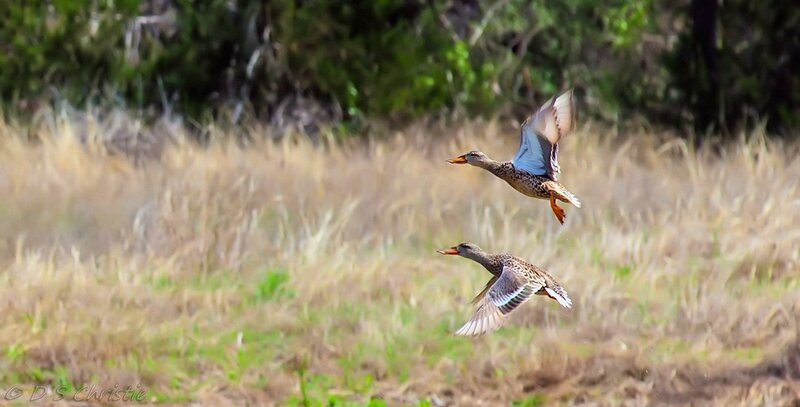 The lake is also a great spot for bird watching and for taking beautiful scenic photographs. When you visit Meridian, you’ll find an active community of runners, bikers, walkers, and nature lovers. Kids are biking and scootering, and parents are pushing strollers and walking their dogs. The neighborhood is extremely pet-friendly with plenty of dog waste stations throughout the entire neighborhood. 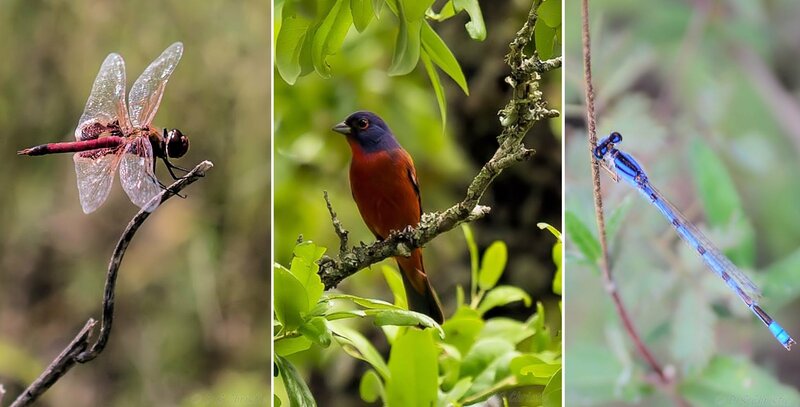 And, with nature trails covering over 10 acres, you’ll see beautiful birds, wildlife, and even natural waterfalls.